Snack is a meal which should provide us with energy, vitamins and minerals until the next main meal. You should always respect the postulates of proper nutrition, and this is the most important principle. If possible, consume three main meals and two snacks a day, with breaks of about three hours in between. Before afternoon healthy snack is eaten between breakfast and lunch, and the post afternoon sack between lunch and dinner, with about three hours gap between each meals. In this way we can avoid overeating and consume the appropriate components and protective substances in our body. Most diet plans recommend fruit for a snack, so that the need for this food is completely satisfied (about 400 g per day for adults). This amount of fruit you need because it contains vegetable fibres, pigments, enzymes, valuable minerals and vitamins that are essential to body. Thus conceived healthy snack can be varied if you work a lot. In fact, after breakfast, in the next six hours, you can have two snacks, when you get home - lunch, and in three hours - dinner. These snacks are usually caloric, take care if you are on a diet. You can make shakes with fruits, vegetables and grains. You will cover the needs of large groups of foods and will be fed for a long time. Of great importance is also a healthy snack for children, especially in school, you also need to adapt to their needs, with the inevitable fruits. 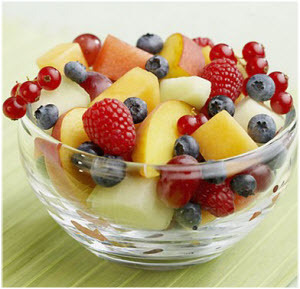 If you have an adolescent in the house, you must, in addition to fruits, provide an energy-rich snack. That would be a healthy sandwich with more vegetables. Also, healthy snacks can be adapted to the person, depending on its state of health. For example, in the case of irritable bowels, when diarrhoea and constipation alternate, for lunch fruit compotes with the addition of appropriate crops are recommended. This healthy snack is prepared in a simple way, put all the ingredients in the same bowl and stir them well. 1.5 cups of low-fat yogurt. It is a real energy bomb, which is also easy to make. Mix all the ingredients and you can get a phenomenal and above all a healthy snack that will give you the necessary energy. How is it made? Cut apples, cover them with water and cook for about half an hour. When the apple compote is made, add the two tablespoons of oat flakes. Wait a while for flakes to get swollen, remove them from your stove, and add a little cinnamon. This way you can cook stewed pears, berries, plums (fresh, dried) - you cannot fail, they are all healthy snacks that are more than delicious. 1 cm of ginger root. Put all the necessary ingredients into the blender, mix well and drink immediately. Preparation: Blend all the ingredients and then consume. Preparation: All the necessary ingredients need to be cleaned, washed and put in juicer. Drained juice should be drunk immediately. Preparation: Pour all the ingredients into a blender, mix well and drink. 1 tablespoon of rye flakes. Preparation: Pour all the ingredients in your blender, mix them well and drink. Preparation: Pour into a blender and mix well, then drink. This healthy smoothie is uplifting and stimulates the secretion of serotonin, the hormone of happiness. 1 cup of chopped green apples. Preparation: Pour all the ingredients in your blender and mix them well and then drink. If you recommend “greeny” to your friends, it is possible that you will get that nickname ("affectionately") - as it happened to our colleague, this is a little joke, hope you do not mind. 1 handful of toasted walnuts. 1 tablespoon of red wine. Preparation: In a bowl mix the spinach, grapes, olive oil and nuts. Mix the ingredients for the dressing and season the salad. 1/2 cup of cherries (pitted). Preparation: Mix all the ingredients and immediately consume. Preparation: Mix all the ingredients, then pour the mixture into moulds or cups and freeze them. A pinch of pepper and oregano. Preparation: Mix all the ingredients well, and place the shake in the fridge to cool a little. Preparation: Mix all the ingredients and allow it to cool. This red shake can last up to two days. Butter to coat the bread. Make your schoolboy this healthy sandwich for lunch, instead of giving them money for pastries, slices of pizza and the like. This is an excellent healthy snack, which will give them all the necessary energy they need. We recommend the text: Suggestions for a healthy breakfast.